Located in Western Africa, the Federal Republic of Nigeria (named for the Niger River) is the most populous country of Africa. People began settling the region as far back as 9000 BC, but it wasn't until the 9th century that the country began to flourish under the ruling of the Kanem-Bornu Empire. Hausa states developed during the 11th century, and, along with the Kanem-Bornu Empire, prospered as a trading post between northern and western Africa. In the 16th century, the first European explorers from Spain and Portugal arrived, and quickly established trade connections. 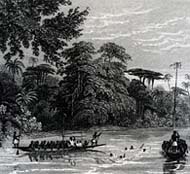 British influence and control over what would become Nigeria grew through the 19th, however the country remained divided into northern and southern provinces. In the south, the economy and education expanded more quickly than the north. A series of constitutions after World War II granted Nigeria greater autonomy, and in 1960 the country gained complete independence. From the beginning, ethnic and religious tension intensified between the already unbalanced north and south. Several military coups followed sparking increased violence, and consequently leading to the Nigerian Civil War in 1967. Millions had lost their lives - most from hunger and disease - as the war came to an end in 1970, and although reconstruction was quick the previous tensions still remained. 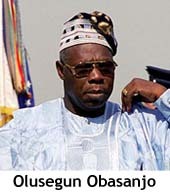 Following nearly 16 years of military rule, a new constitution was adopted in 1999 with the election of Olusegun Obasanjoas as the new president and a peaceful transition to civilian government was completed. Obasanjo was faced with the daunting task of reforming a petroleum-based economy, whose revenues had been spent through corruption and mismanagement and the institutionalizing of democracy. In addition, the Obasanjo administration had to diffuse long-standing ethnic and religious tensions, in order to build a sound foundation for economic growth and political stability. Umaru Yar'Adua, of the People's Democratic Party, was elected President during the general election of 2007. The international communities condemned the election as being largely flawed. On May 5, 2010, Adua passed away, and Dr. Goodluck Jonathan was sworn in as Nigeria's newest president.